Doctor Saliba defines an excellent enhancement as one that is natural. Zirconia crowns are one of today's advancements in materials used to make crowns or caps. Doctor Saliba only uses the best material available and although all options are provided in his Corona Del Mar Dental office, a mutual patient-doctor decision is made during the treatment process in order to choose the best option for the situation at hand. Zirconia crowns can look beautiful and very natural. They are used in many cosmetic treatments. Zirconia is an extra tough ceramic material, and it can be made extra thin. They are considered a great alternative to traditional veneers and porcelain crowns because they are so thin, yet very strong and properly cover the entire tooth structure, decreasing the chance of decay. They have absolutely no metal in them, and can be made translucent or opaque for a very natural look. 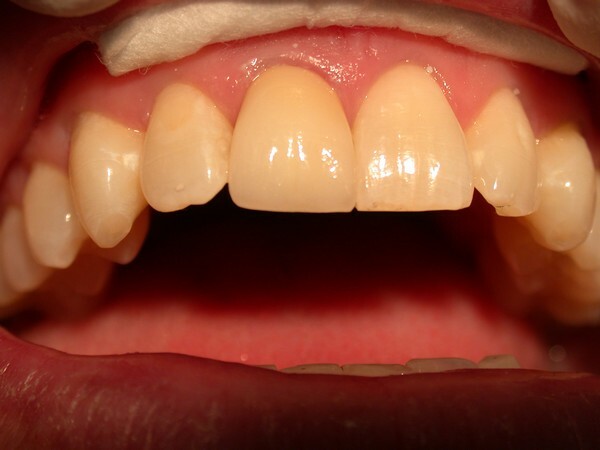 If recession occurs, they won't show a dark line at the gumline years later, the way porcelain fused to metal crowns can. It's like getting the best of both veneers and crowns. One important caution when we talk about materials for crowns. All material types have their place and can give an absolutely gorgeous result as long as they are used and fit properly by the dentist. Doctor Saliba will generally discuss the options and pick the best material fit for the treatment. Doctor Saliba is committed to achieving healthy, natural, long lasting results. 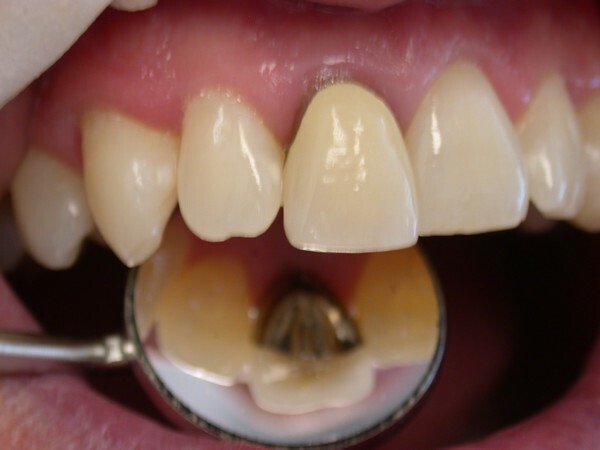 Material used on crowns is not the only factor, excellent results are mostly based on the doctor's experience and technique in shaping the tooth structure or foundation underneath the crown. He considers his work a form of art and is proud to feature many of his cases, which as gained him the respect of his patients and colleagues throughout the dental community.